Numskull are a UK company who make officially licensed merchandise based on Games, Movies and TV. 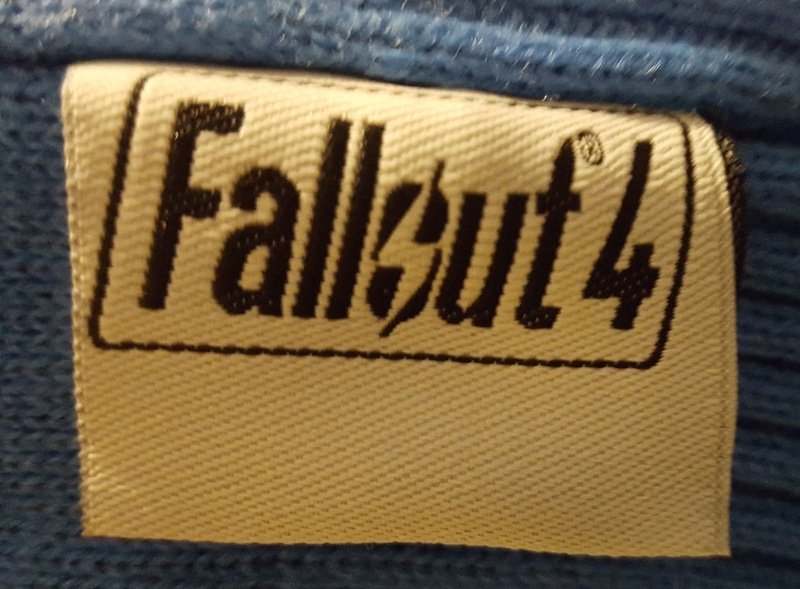 With partners including Capcom, SEGA, Playstation, Disney, BBC, Ubisoft and Bethesda, they really do have something for the geek in all of us. 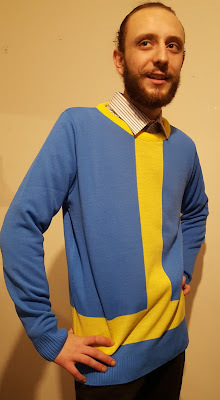 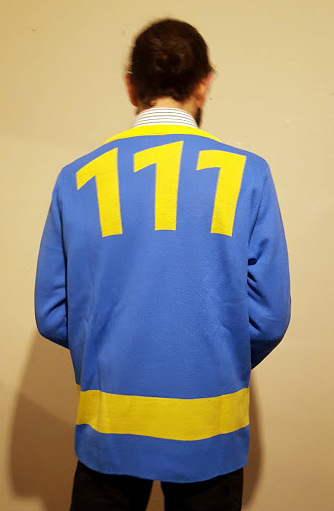 The Vault Suit has got to be one of the worst designs in clothing history, but it's so bad it's excellent, and Numskull have turned it into a jumper beautifully. The colours are great and bold, and the jumper is knitted with 100% acrylic wool, so it's quite thin and you won't be sweltering wearing it inside. I'm giving this to my partner Christmas morning, so I roped in my eldest to model...he didn't take a lot of persuading! 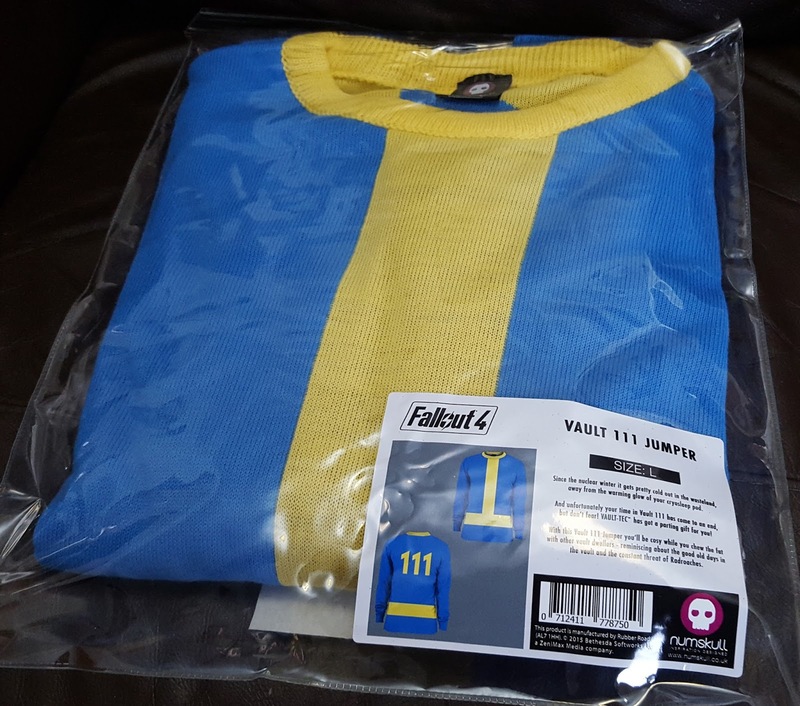 It's a nicely made item of clothing, with long sleeves and a long torso. My son is around 5ft9 and usually wears medium to large, so I'm impressed with the cut and sizing. 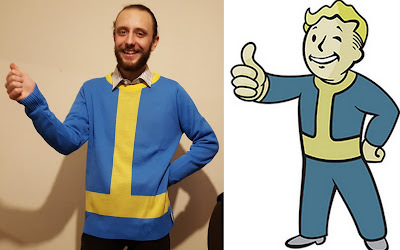 There are no imperfections and the seams are tidy and tight. I'd be a liar if I said I'd washed it already, I haven't, but I've had enough acrylic jumpers in the past to be confident it'll keep it's shape and size. 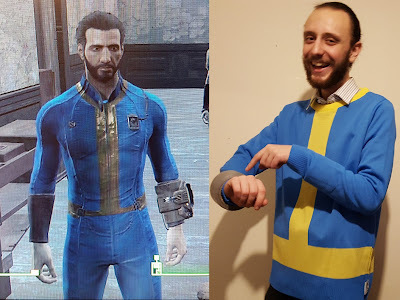 It suggests washing at 30 degrees and can take a cool iron, although whoever has time to iron a jumper is beyond me - you could be off fighting Bloatflies and checking your settlers have enough Muttfruit. 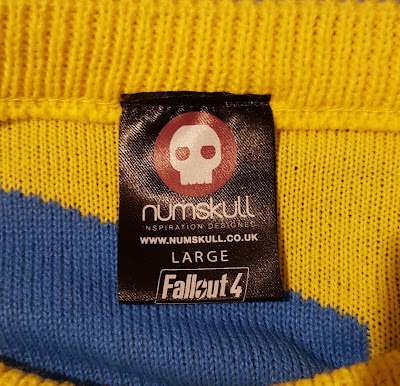 Numskull don't only have jumpers for the age 18+ game Fallout 4 - they also have a big range of Dr Who, Star Wars, Playstation, Street Fighter and other jumpers, plus Christmas jumpers too! It doesn't even stop there - they have loads of clothes, mugs, peripherals and other stuff to keep you, or your favourite geek, happy.